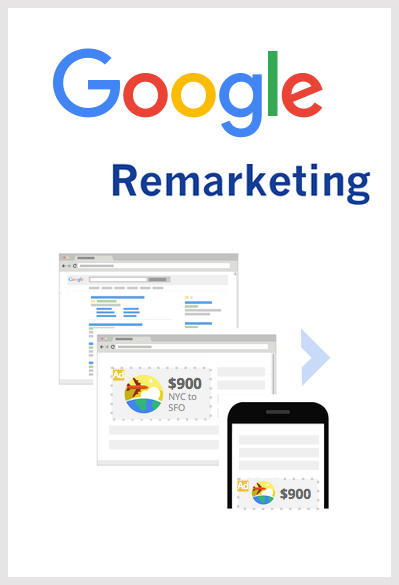 Remarketing campaigns are an important and integral part to any Google Search or Display campaign. If someone interacts with your ad by clicking through to your website but does not complete the wanted action such as completing a lead form, you have the opportunity to remarket your ads to them. This is a powerful tool and can help businesses recapture people's attention and turn them into customers. Remarketing campaigns are included in our Search and Display campaign management. We implement them on every account because of how important they are to an overall strategy. You can reap the benefits of these campaigns with no additional cost to you. As people search and browse the Internet, they are in different stages of the buying cycle. Someone researching information on a product or service may not be ready to buy at that time. Remarketing to these people ensures that you are visible when they finally make the decision to purchase. These ads can also be used as a tool to brand your business and stay in the minds of your loyal customers by offering them exclusive deals.